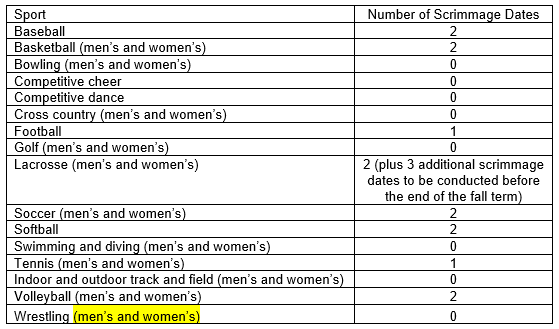 The following number of scrimmage dates per sport will be allowed in addition to the maximum number of varsity games, contests or playing dates which an institution may schedule or in/on which a student may compete. a. 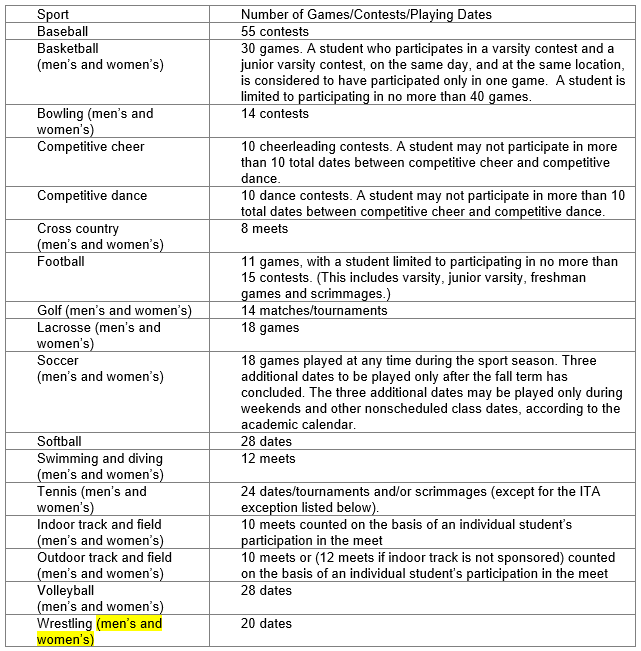 They must involve an injury or illness which is beyond the control of the student or coach and which incapacitates the student from competing further during the sport season in question as verified by the attending physician (i.e. M.D. or D.O.) who must have examined the student during the sport season in question. 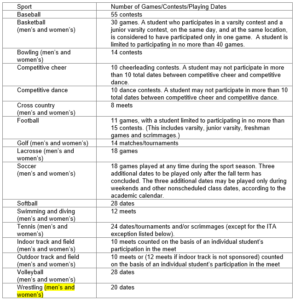 NOTE 1: These limits shall be updated annually to reflect 20% of the maximum allowable contests or dates as listed in Article I, Section F, Item 1 of the NAIA Bylaws. NOTE 2: These limits shall apply to injuries occurring on or after August 1, 2015. Medical Hardship requests for injuries occurring before August 1, 2015 will be evaluated based upon the rule(s) in place at the time of the injury. c. Hardships cannot be requested for students who are incapacitated in the last regular-season contest or postseason competition. d. All applicable information must appear on the completed certificate. This certificate, along with a current transcript, is to be sent to the National Office for processing. e. Participation by a student after being examined by a physician for the incapacitating injury or illness and before receiving written medical clearance shall nullify hardship considerations. 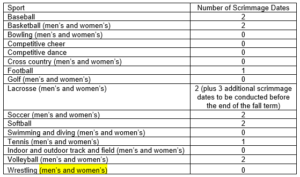 Intent: To establish 20 as the maximum number of contests in which a women’s wrestling team may compete in an academic year, clarify that no additional scrimmage dates are provided, and establish four dates as the maximum number of contests in which a women’s wrestler may participate and be eligible for a medical hardship.